A beautifully polished 1.14ct round brilliant cut diamond is skillfully set in an Evolym designer diamond engagement ring containing a single row of micro set diamonds in the middle weighing 0.12ct in total. Crafted to perfection, the Evolym micro set diamond ring is available to order based on your specifications with a Shimansky diamond of your choosing. 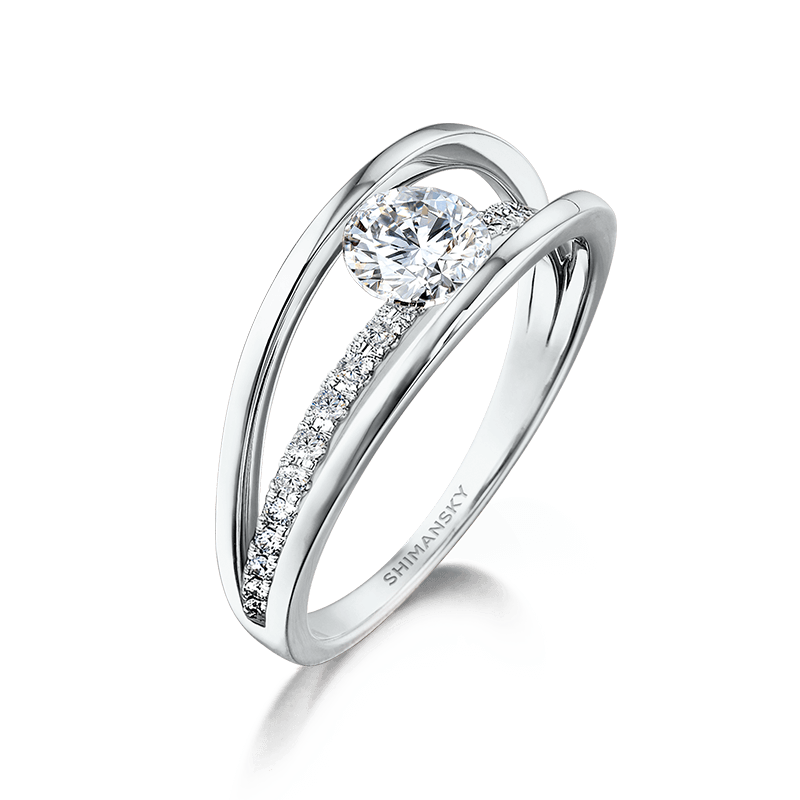 A variation of the original Evolym Diamond Ring with a Round Brilliant Cut Diamond, the added detail of the Micro Set Diamonds in the centre band gives this classic design a striking twist. 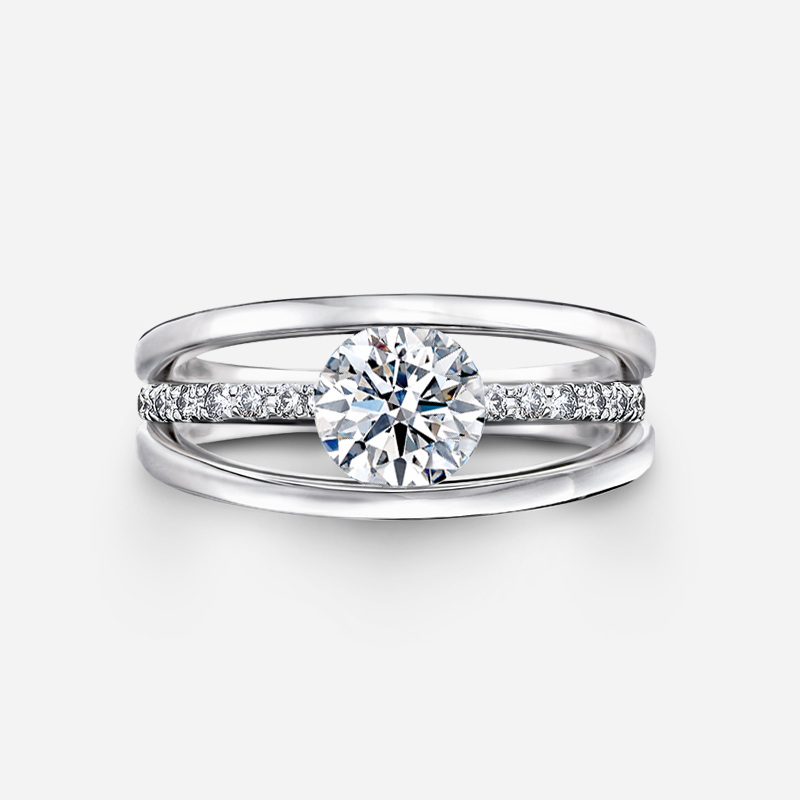 The solitaire diamond's 360 degree exposure to light allows for true brilliance when viewed from any angle.This innovative setting holds the diamond securely between three bands, despite its "floating" appearance. The word "Evolym" is "My Love" written in reverse: a truly magnificent representation of your feelings for the one you love. 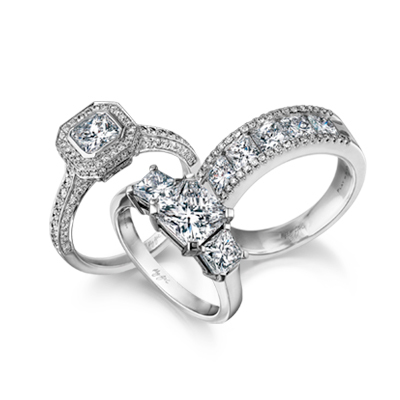 Exclusive to Shimansky, this iconic design is a true symbol of your pure love and total commitment.